Week 5 Giveaway - Double Dose! Today starts week 5, the final week of my weekly Giveaways in December! So sad to see it come to an end, but I'll definitely be bringing Giveaways back in 2014. For the final week, I thought what better than to have 2 giveaways with 2 winners?!? Yay!! This week I’m giving away some of my absolutely gorgeous stationery from Blend, the licensing division of Anna Griffin. They make such beautiful products and I'm SO excited to share them with you! In addition, each giveaway will win 1 of my 2014 Desk Calendars. 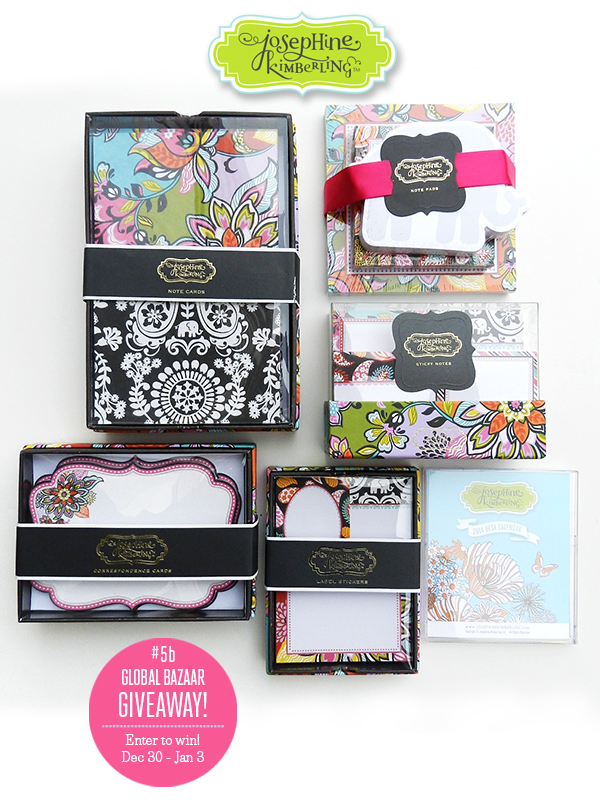 This Giveaway is perfect for bringing a little bit of pretty organization into the new year! Giveaway starts today at 7:00am and ends at 10:00am on Friday, January 3rd. There are multiple ways to enter such as Liking my Facebook Page, Pinning my giveaway on Pinterest, Tweeting about my giveaways, Answering a simple question, etc. Choose one or many options to increase your chances of winning! You can also come back each day and enter to win too! There’s lots of ways to increase your chances. I’m so excited to give TWO lucky winners these lovely goodies! Good luck to all of you and Happy New Year!! The Final Winners of My December Giveaways! Week 4 Giveaway Winner Announced!